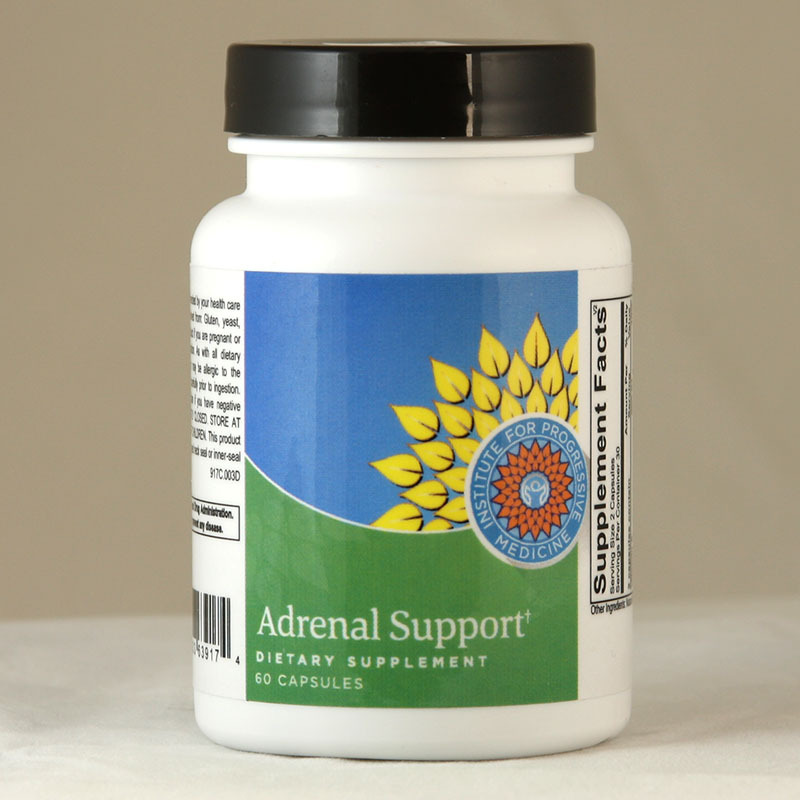 This product has been formulated specifically for use in individuals showing symptoms of adrenal fatigue or burnout. These ingredients have been shown to boost energy levels, decrease fatigue and stress and improve overall immune health. 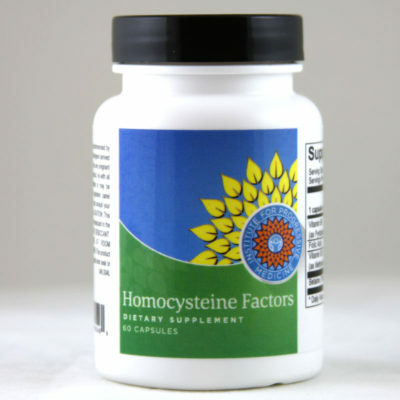 This product has been formulated specifically for use in individuals showing symptoms of adrenal fatigue or burnout. 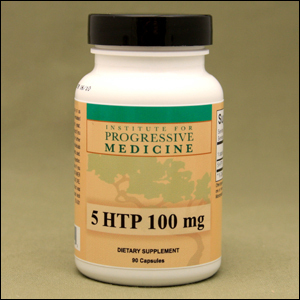 These may include fatigue that is not relieved by sleep, a general sense of unwellness, tiredness or “gray” feelings. A reliance on caffinated beverages or stimulants to feel rested in the morning or to continue through the day may also be present. The vitamins and herbs in Adrenal Support play a crucial role in the function and health of the adrenal glands. 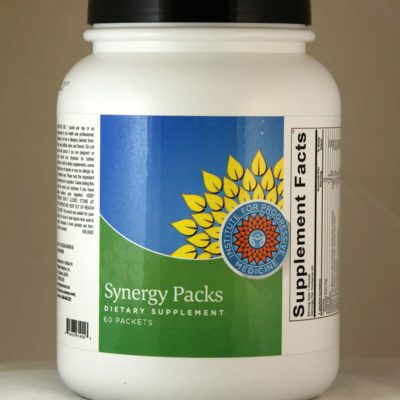 These ingredients have been shown to boost energy levels, decrease fatigue and stress and improve overall immune health. 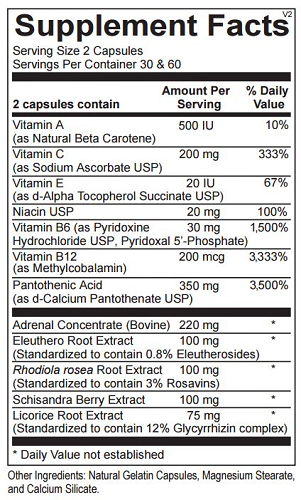 Usual dose is 2 capsules 1-2 times per day.